The HubWayEX16S from Altronix is an UTP Transceiver Hub employs automatic gain control (AGC) to transmit UTP video and RS422/RS485 data over a single CAT-5 or higher structured cable. The unit provides 16 camera channels in a space saving 1U EIA 19â rack mount chassis which may be rack, wall or shelf mounted. Video transmission range is up to one-mile max. per channel. 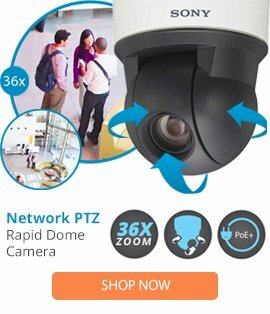 Units are compatible with fixed or PTZ cameras. An optional HubSat4D/Di Passive UTP Transceiver Hub with Integral Camera Power can be used as an accessory module to transmit video from up to 4 cameras over a single CAT-5 or higher structured cable back to the HubWayEX16S. In addition, the HubSat4D/Di provides power to these cameras locally to eliminate the possibility of voltage drop associated with long cable runs.